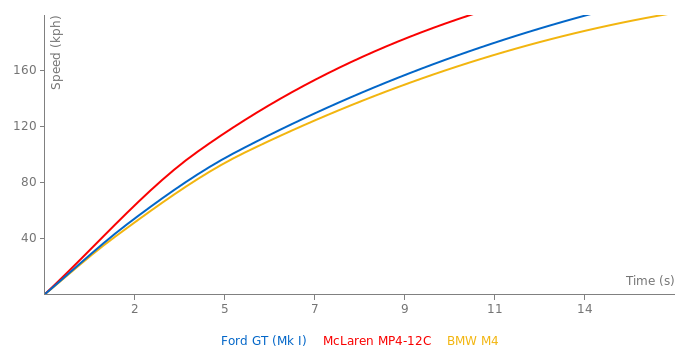 I found another source which mentions the 11.9 0-200 kph time, same as the Dodge Viper SRT10 Coupe. I think today with a professional driver this could do the 'Ring in ~7:45. It's a much older car than a Ferrari 458 Italia or a Camaro Z28, so don't expect any faster. There is no difference in torque figures no matter what country its sold in. 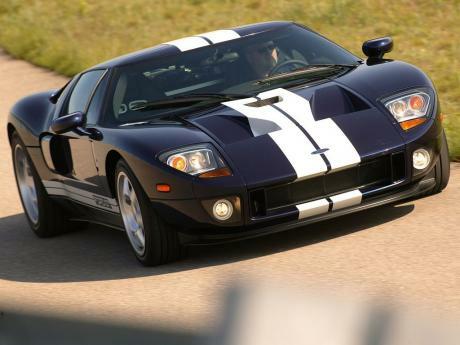 @All the comments from 7 years ago: The AMERICAN version of this GT has 500 tq; the 571 number is for the EUROPEAN GT. EDIT: FastestLaps is actually a global lap-oriented website, so it cannot have pages that are too specific, especially with the waste of having less laptimes. 500 or 571 lb-ft, 542 or 550 hp, it doesn't really matter! By the way, a lot of American magazine tests show less than 12 seconds at over 124 mph (200 kph). Maybe except for the Car and Driver Aug 2005 (Ford GT vs European exotics) and the AutomobileMag test (GT vs Viper vs Corvette Z06). Delete either the 0-200 kph time or the 1/4 mile time; one of them is unnecessary. For this to do 0-200 kph in 12 s yet do the 1/4 in 11.2 at ~211? I know that assumes a linear acceleration and underrestimates the capability a bit, but we can't know how fast it accelerates at 125 mph from just the quarter mile time and trap speed. If we consider this it may be something like 10.4 or so. I, for one, know that the Calculation area only estimates power-to-weight and power-per-liter ratios, and x-mile distance times@speeds whatsoever. Ford GT says Bruuuuuuuummmmbruusmhghghgttytyyyyy to the FXXXRETTREGGS, But yeah, That is one loud toaster, Wait WHAT?...I CANNOT HEAR YOU, THAT FORD GT IS TOO LOUD IN THE BACKROUND!! !, WHAT DID YOU SAY ABOUT FIXING A CHICKEN DINNER? SPEAK LOUUUUDERRRR!!! This car is very charismatic, one of the coolest vehicle ever imo. But it had few problems, Clarkson bought one, and was complaining about few issues. But now they also plain to make EcoBoost bi-turbo V6 which can be cool beceause its mean that this car can be user friendly, economical and reliable. They gonna show it in Detroit '15 but... only 1200 units gonna be made. Looking foward for this new project, some guys will complain about 6cylinders, yea sure We all want V8, V10 but... get real, its more just only about the engine and cylinders. lol. you wouldn't be able to hear anything from a Ford GT running beside a FXXK, or a Zonda R. some toaster eh. Huh? Whats that?....You dont say? No way!? Okay ill tell them. @BR2+: I agree, V8s are the best sounding engines. Its true, Nothing sounds better then a Pure V8, But there are a good selection of 6-Cylinder cars hat sound amazing in the world of autos. Hell "Some" sound better then V8s, Rare but true. Theres always a chance .000001%, Its a Ford, An American Car, What High performance American Super/Muscle cars are known for, There not Italians or Germans trying to squeeze as much power out of a smaller displacement engine as possible, GTR and XJ220 are great cars with V6s, And some of the fastest cars ever, Just about at the top as far as V6s go. They may use V6 turbo for a racecar because of weight/economy. But not for a street supercar, I don't think. But Turbo V6 is a cool engine. There are plenty of great sports/supercars with such configuration. Like the Nissan GT-R or Jaguar XJ220. @BR2: I hope you are right. But right now, the latest rumors say otherwise. 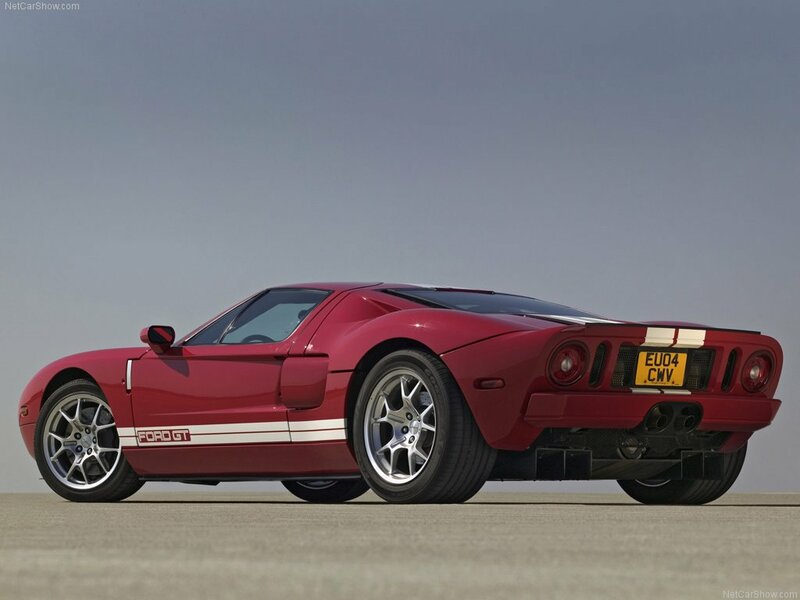 We all know damn well that Ford will not put a V6 into the GT successor, Thas a fact, There not Bmw. It would be a downright TRAVESTY if the next Ford GT has a ecoboost V6. Even if it has 2000HP. Comon, it's the future - fuel economy. Ok, who am I kidding. Nobody cares about fuel economy any more. Bring on the big V8, Ford! However, I don't like the shown rendering. The 2004 production car looks waaaaay nicer. 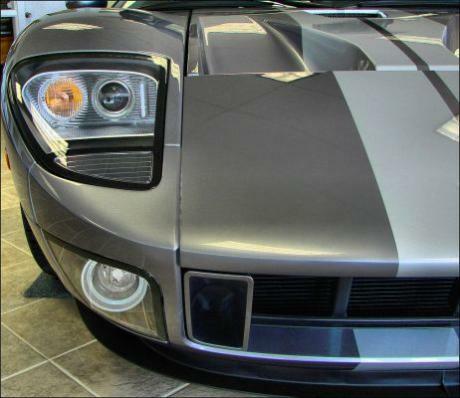 @ Super8: The styling is slightly reminiscent of the Ford Shelby GR1 concept car.